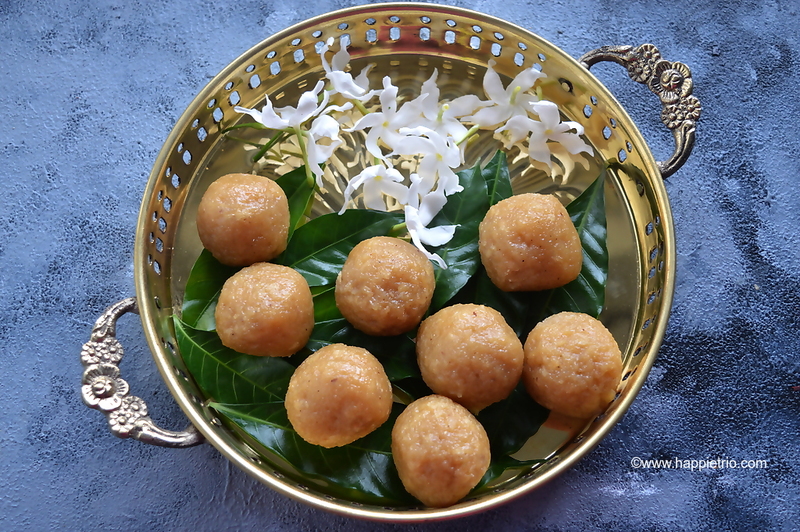 Sweet Kozhukattai recipe with step by step photos. 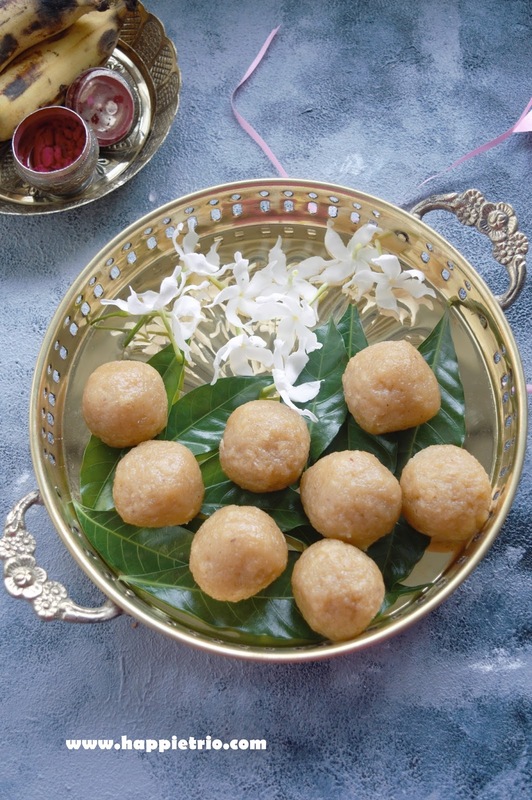 Kozhukattai is a rice flour dumpling which is prepared mainly during the festival days and offered to god. Lord ganesha is very fond of kozhukattai so during Ganesha Chaturthi many varieties of kozhukattai is prepared and offered as neivaidiyam to the Lord. Sweet rice Flour kozhukattai is a very easy recipe that can be prepared in about 20 mins and enjoyed. Now let’s see how to prepare sweet flour kozhukattai. 1. In a pan add in water and then add in Jaggery allow it to cook till the jaggery is completely dissolved. 3. Add in Cardamom powder and salt. 4. Next add in the freshly grated coconut. 7. Mix well and it stage is very important .So keep in a low flame and cook till the rice flour and jaggery water comes together to form a dough. 8. Now switch off the flame and let it get warm. And knead well to form a soft dough. 9. Grease your hands with oil or ghee and shape them to form equal sized kozhukattai/Dumplings. I got about 8 kozhukattai. 10.Steam cook for about 10-12 mins or till the kozhukattai becomes shiny. 11.Once it is cooked completely serve. · Cook the Rice flour in Jaggery water is very important as the flour will not get cooked properly while steaming .It has to be done with preparing the dough. · If you Jaggery is pure you can remove the straining part. · Kozhukattai is prepared as a prasadham during festival days. 10. Steam cook for about 10-12 mins or till the kozhukattai becomes shiny. 11. Once it is cooked completely serve. Celebrate this vinayagar Chaturthi with this easy and healthy sweet Kozhukattai. What a tempting sweet treat! A tempting sweet, I've never made sweet kozhukattai. This time the blog word is flooded with kozhukattai... I'll have to make it soon. Lovely clicks and a these rice balls look so cute . Perfectly made and clicked . We too prepare this but in slightly different way. Looks delicious and btw love the background. did you paint the board? This one surely makes a wonderful dish for offering!